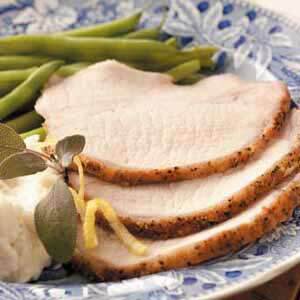 For this Pork Loin Recipe you will also need the pork brine recipe that is also on the website. Just click the link to access it. 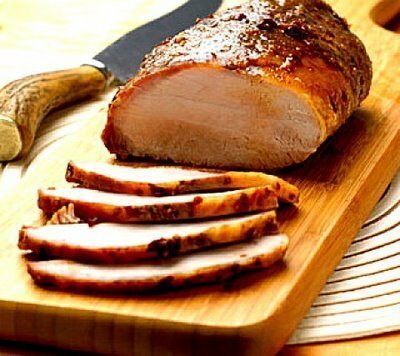 The pork brine recipe from the restaurant will all but guarantee a perfect pork roast, the best you have ever prepared. At least the restaurant guests say they have never had any better. The brine recipe is really what makes this a favorite restaurant recipe. That and the restaurant recipe for pork gravy, also on the website. Preparation time: Takes 2 1/2 hours to cook, depending on size (4-5 pounds) but roast needs to marinate in pork brine for 12-24 hours. Serves 8. Serving option: On a large platter, mound dressing in the center, arrange meat slices around the dressing and drizzle a little of the gravy over the meat. Then serve the remaining gravy on the side in a small pitcher. 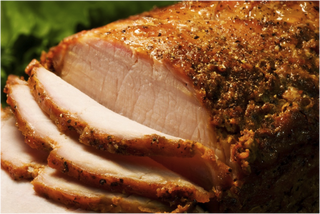 Enjoy your pork loin restaurant recipe and the company of those you share it with!